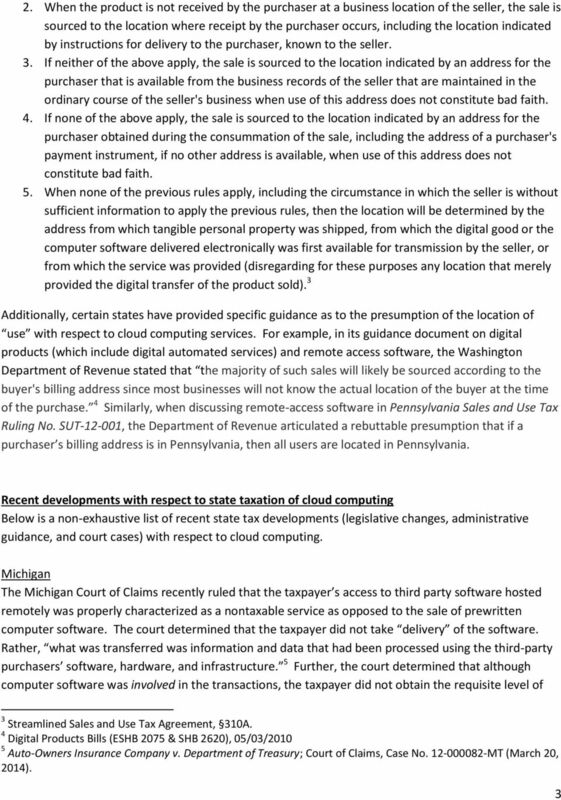 Download "Emerging Tax Issues Surrounding Cloud Computing Transactions By S. Matthew McNeilly, CPA"
CLOUD COMPUTING: TAX EXEMPTION S.B. 82 & 83: ANALYSIS AS REPORTED FROM COMMITTEE Senate Bills 82 and 83 (as reported without amendment) Sponsor: Senator Peter MacGregor (S.B. 82) Senator John Proos (S.B. INFORMATION BRIEF Minnesota House of Representatives Research Department 600 State Office Building St. Paul, MN 55155 December 1998. 13.06A Cloud Computing. 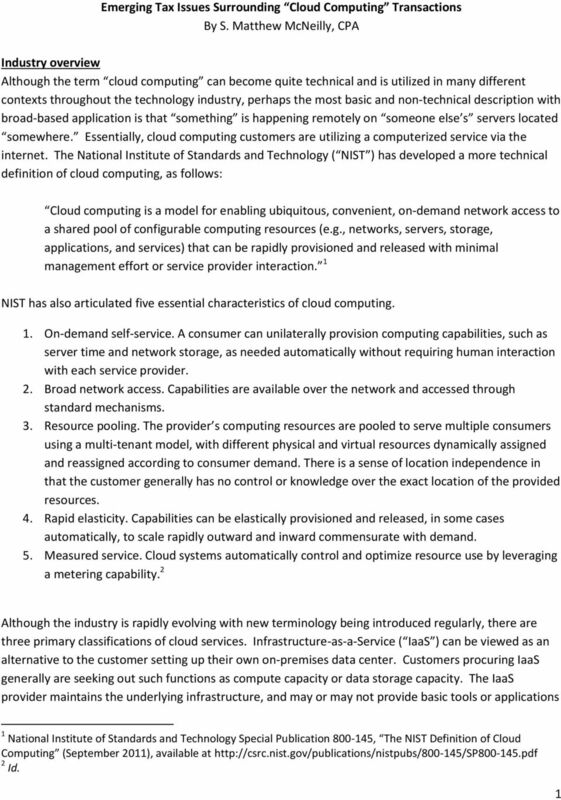 13.06A What Is Cloud Computing? FTA Annual Conference June 17, 2012 Jeffrey A. Friedman, Sutherland Harley T. Duncan, KPMG. Hey You! Get Off Of My Cloud! PRIVATE CLOUD PLATFORM OPTIONS. Stephen Lee CEO, ArkiTechs Inc.
IPT 2015 Sales Tax Symposium September 27 th 30 th, 2015 Indian Wells, California. Buyer (and Seller) Beware! Concepts of the Cloud. East African Information Conference 13-14 th August, 2013, Kampala, Uganda. Security and Privacy: Can we trust the cloud? 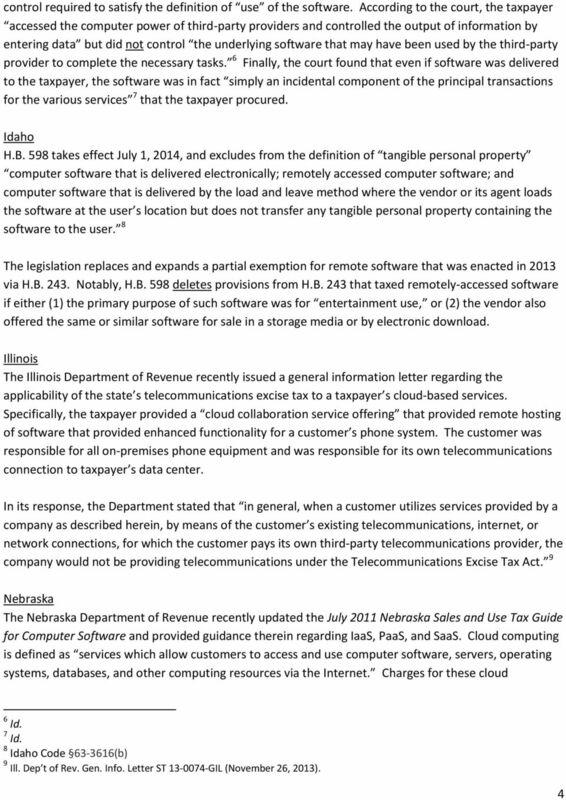 ST-13-0058-GIL 10/18/13 SERVICE OCCUPATION TAX If no tangible personal property is transferred to the customer, then no Illinois Retailers Occupation Tax or Service Occupation Tax would apply. See 86 Ill. The Cloud vs. the Back-Office. Which is right for you?